Clinique’s eye shadows have always been lovely in that their colours are nicely pigmented and they glide on in just a few strokes. It’s difficult to see how they could improve on them but they’ve managed to whip out a new formula that’s even creamier, packs more of a colour punch and less likely to fade or crease. If you’re a diehard fan of Clinique’s bestselling classic colours, duos like Strawberry Fudge and Like Mink, don’t stress; these aren’t going any where. In fact, most of the popular soon to be discontinued Colour Surge shades are still available but now boast the new formula. 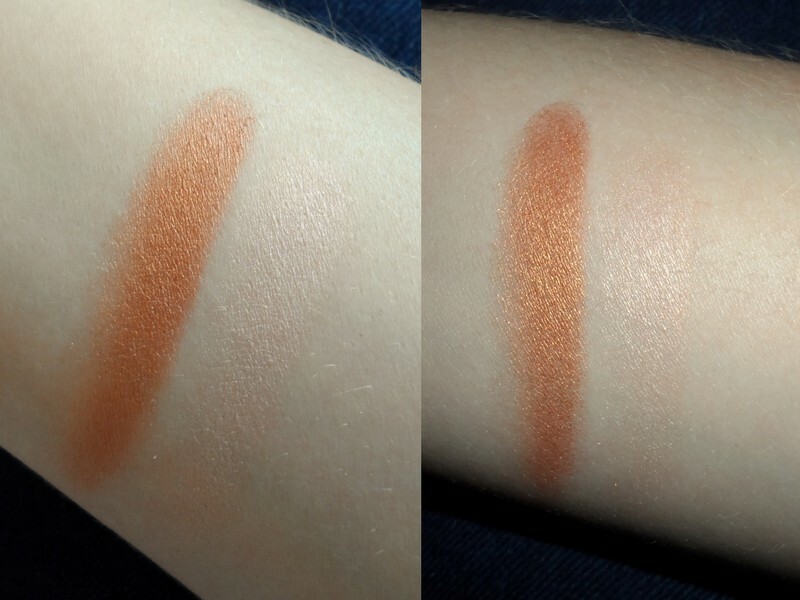 Clinique has, however, added a few totally new colours into the shadow spectrum which, like before, is divvied up into singles, duos and quads and consists of both matte and shimmery finishes. 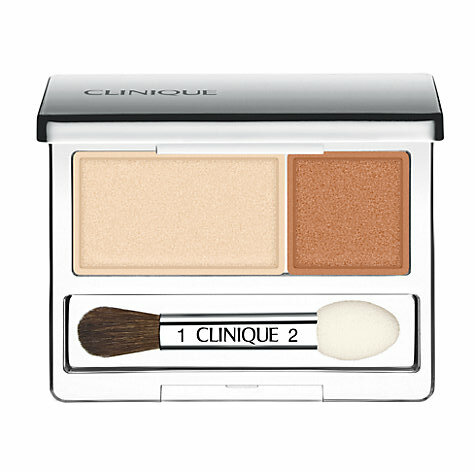 I was give one of the new duos to play with; Clinique All About Shadow Duo in Sand Dunes (R275). It consists of a gold and creamy beige shade that work nicely together or can be worn separately. Shot without flash on the left and flash on the right. As I prefer a darker colour on my lid, I’ve been blending both the gold and beige shade together and working it into my crease. I like that the applicator it comes with is both a sponge tip and an actual ‘brush’ as it makes blending super easy. Gold and bronze shades always make my blue eyes pop. As for the shadows themselves, yes, they are fabulously pigmented and most definitely do glide on in one simple stroke. Want to give them a bash yourself? All About Shadow eye shadows are at all Clinique counters as I type and can be bought from the brand’s online store. The best bit? Standard delivery anywhere in South Africa is free!